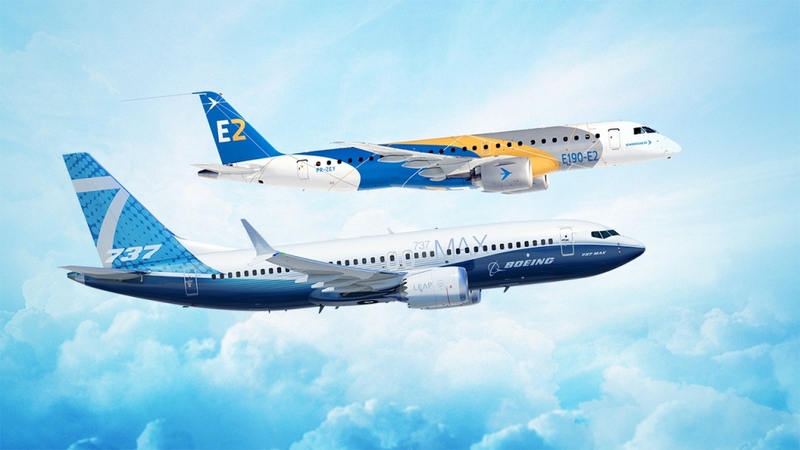 Boeing and Embraer announced on July 5, they have signed a Memorandum of Understanding to establish a strategic partnership that positions both companies to accelerate growth in global aerospace markets. The transaction values 100 percent of Embraer’s commercial aircraft operations at $4.75 billion, and contemplates a value of $3.8 billion for Boeing’s 80 percent ownership stake in the joint venture. The partnership is a natural evolution of a long-standing history of collaboration between Boeing and Embraer over more than 20 years. On finalization, the joint venture will be led by Brazil-based management. Boeing will have operational and management control. Boeing and the joint venture would be positioned to offer a commercial airplane portfolio that ranges from 70 seats to more than 450 seats and freighters. Boeing and Embraer will benefit from a broader scale, resources and footprint, including global supply chain, sales and marketing, and services network, which will enable them to capture benefits across the organizations. Additionally, the strategic partnership will provide opportunities to share best practices in manufacturing and across development programs.